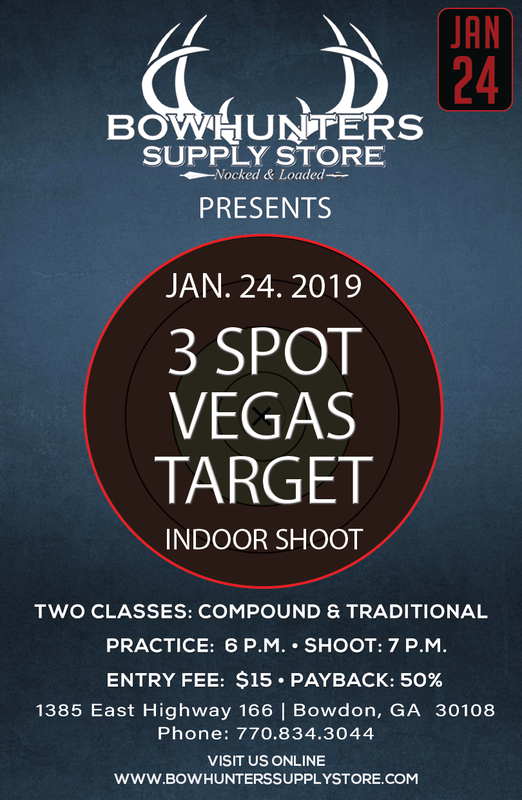 You are all invited out for our 3 Spot Vegas Target Indoor Shoot, Thursday, January 24th, 2019. 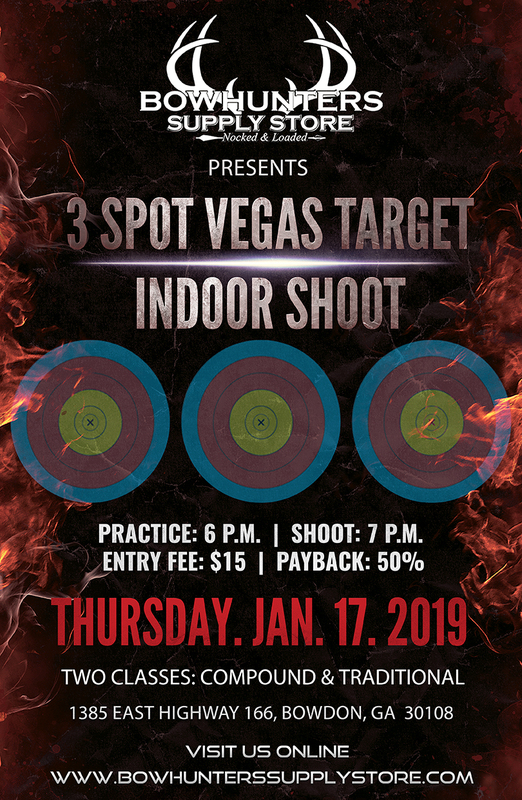 Practice starts at 6 p.m. and the shoot will begin at 7 p.m.
You are all invited out for our 3 Spot Vegas Target Indoor Shoot, Thursday, January 17th, 2019. Practice starts at 6 p.m. and the shoot will begin at 7 p.m. 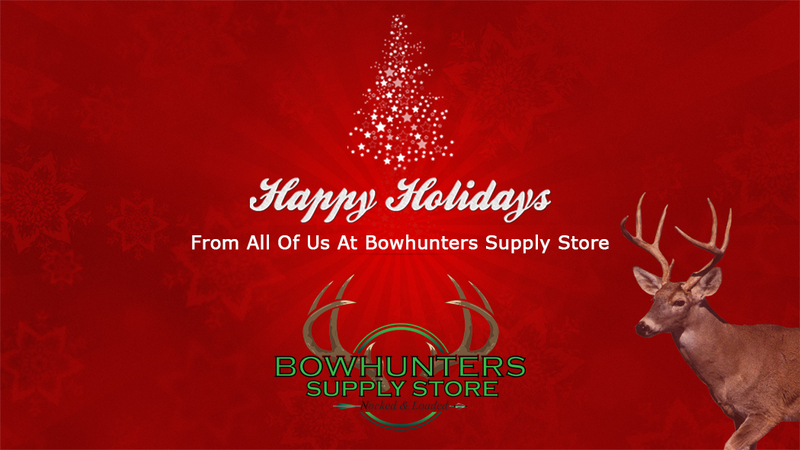 Happy Holidays From Bowhunters Supply Store! We would like to wish you all Happy Holidays and Happy New Year! We appreciate your continued business throughout the year and we look forward to serving all of your bowhunting needs in 2019! Remember, place your order by Wednesday, December 19th or sooner in order to receive your packages by Christmas. Titanium X $5 Mail-In Rebate! Order a 3 pack of TruGlo Titanium X broadheads and receive a mail-in rebate of $5.00! Click here below to get yours today. 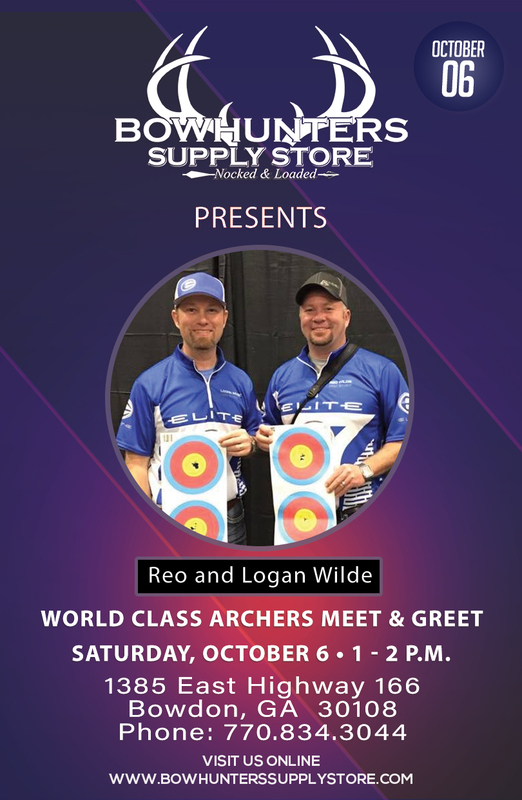 Come out this Saturday, October 6, for a meet and greet with world champion archers Reo and Logan Wilde. They will be here at the store from 1 – 2 P.M. (EST) and will also be available for photos! Don’t miss it, tell your friends and come on out! Ravin R20 Gunmetal Grey Crossbow Package • 24 Hour Sale! Building on the superior design of HeliCoil technology, Ravin introduces the Ravin R20 Gunmetal Grey Crossbow Package. The R20 feature Ravin’s sleek style, rifle-like accuracy and ultra compact design. Don’t miss out, get yours today!. Take Home A Bow That Will Take Down The Bucks! Don’t miss out on our in-store 2 day bow sale at Bowhunters Supply Store. This offer is valid on Thursday, September 6 and Friday, September 7 only. Store hours: 9 A.M. – 6 P.M. Pick up a Plano Broadhead Box today for only $6.88! This is a handy little case and holds up to 5 broadheads. Click here and get yours today. Nockturnal Nocks • Online Sale! Pick up your choice of Nockturnal Lighted Nocks: S, G, GT, H, X 3 Pack for only $14.88. Or you can grab your favorite color of FIT Universal Nocks 3 Pack for only $19.99! Make Bowhunters Supply Store Your First Stop to a Productive Season! Don’t miss our In-Store Hunter Season Blowout Sale August 7 – 11, 2018. Get Nocked & Loaded with prices slashed on more than 500 items. Click here to view/download all 500+ items. We are open: Tuesday – Saturday • 9 A.M. – 6 P.M.